When people say ‘gourmet’ they’re usually referring to food, though it can also imply elevated tastes and luxurious products. In some ways, Christmas gift offerings are the very definition of gourmet. They’re not like a birthday or a wedding, because they’re more inclusive. On a birthday or graduation, just one person (the birthday girl / boy /graduate) gets a present. Or at a wedding / anniversary, it’s all about the happy couple. But on Christmas, it’s reciprocal. You give, and you receive in mutual appreciation. Also, in our increasingly modern world, we’re simultaneously miles apart and seconds away. For many of us, Christmas is the only time we get to see our families. This is even more pronounced in island nations like Australia, where our youngest and brightest literally go overseas to seek their fortune. When they come home for the holidays, they want to make a gifting impression, and we do too. Corporate settings follow this unwritten rule as well, for expats that fly home to close the year with family. 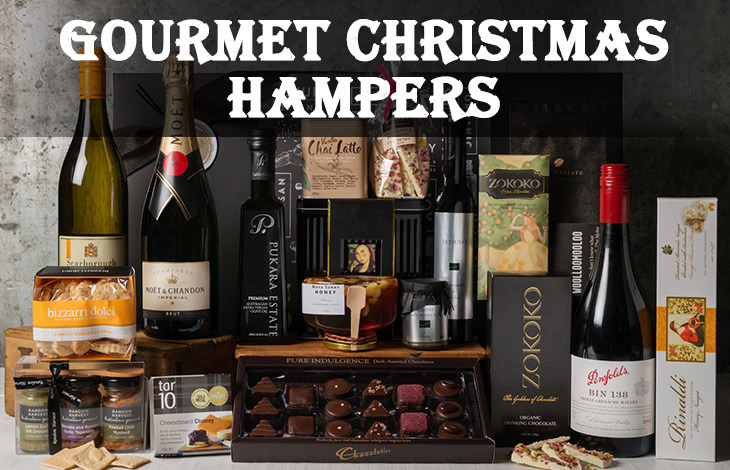 Australian gourmet gifts are suitable for both sets of recipients. If they’re leaving the country, you want to give them something that reminds them of you, and that they can show off in their circles. It’s a gift that says, ‘This is where I’ve been, this is why I like it, and this is why I’m going back.’ If they’re not returning in the new year, it makes a pleasantly nostalgic keepsake, so make sure it’s not all food. Give them at least one piece they can keep. Similarly, for the returnees, it’s a great way to re-introduce them to the joys of home, giving themproducts they may be unable to find abroad. It’s always in the little things, like trying to find a pack of your favourite snack and settling for something that feels watered down. Along those lines, why not get them a Snack Attack hamper? It has teeny tiny bits and bobs they can ration out until they come home for a refill. Or you could have it shipped to them wherever they are, and replenish it throughout the year. The hamper has jam shortbread, ginger thins, caramelised biscuit, sesame flatbread, roasted sweet chilli peanuts, pretzels, and Belgian chocolate. 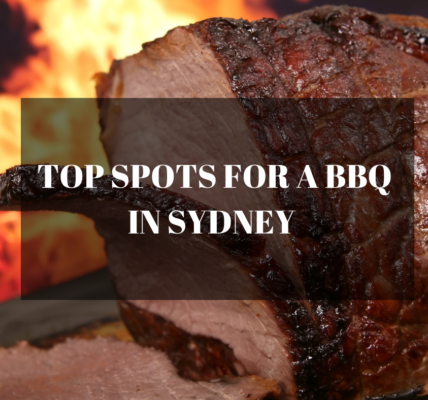 While the products aren’t all Australia-made, they do feel quintessentially Aussie. 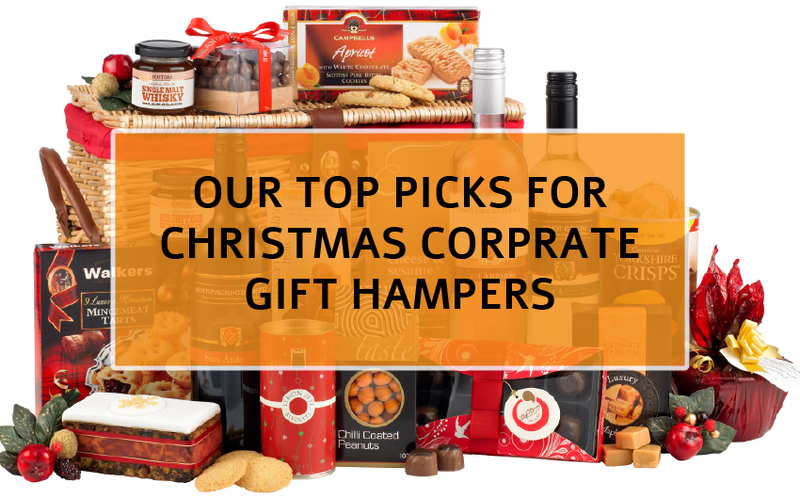 It takes immense will-power to peter out their consumption though, so if you’re sending it overseas (or if it will be stashed in hand luggage when your relatives are going back), be kind and buy more than one snack hamper. It’s only fifty bucks minus shipping, and your recipient will love you for it. 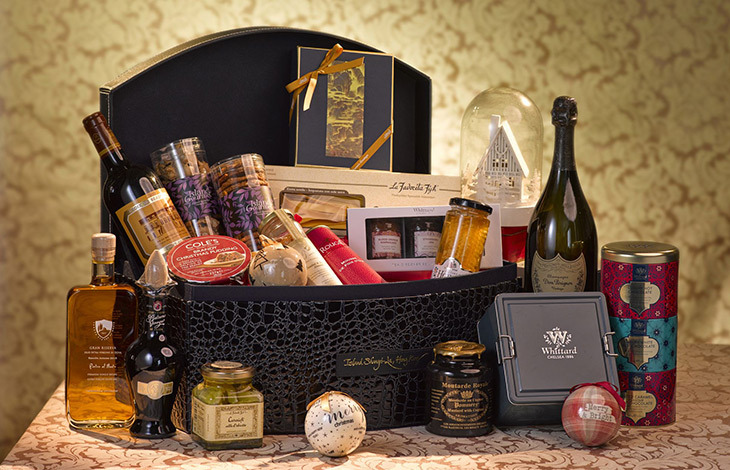 Another intriguing option is a hamper aptly named Surprise Me! It’s a picnic hamper, so the sense of the unexpected is probably in its curation. It has items that don’t usually go together, like sparkling wine and olive oil (extra virgin). Or ground coffee and lemon pepper olives. 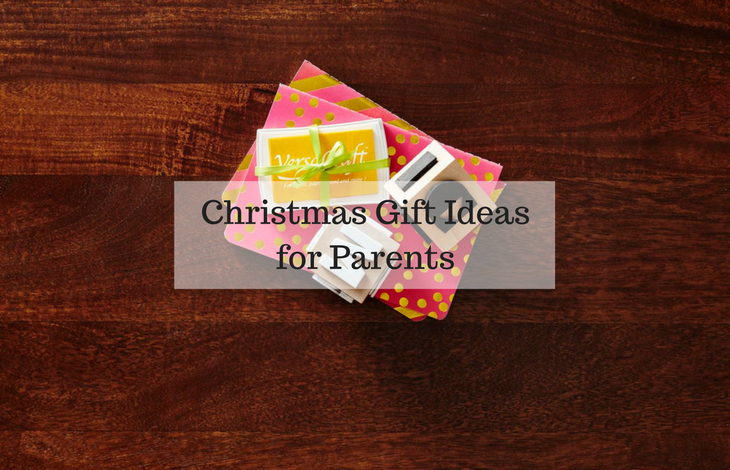 Other pieces of this gift pack are truffles, and coffee beans dipped in chocolate. There’s strawberry conserve, butter shortbread, nougat, biscotti, and sweet chilli nuts. You could add a picnic blanket to your gift box, or have them packed in a wicker basket. Flight friendly hampers … or not? You might think you’re being clever buying someone a bite-sized gift hamper that fits in their handbag. Something like the Mini Moet. It’s more likely they’ll finish both the champagne and the chocolate before they’ve even finished unwrapping it. And even if it does survive the holidays, the 200ml bottle exceeds the 100ml liquid limit set by many airlines. They could pack it as regular luggage, but they’d have to be careful it doesn’t smash in their suitcase. You could just ship it to them directly and avoid all the drama. Many gift packers have efficient delivery services that can put it in your recipient’s hands within days, depending on where they’re located. This package is best sent as a mass gift though – it doesn’t make financial sense to spend so much postage on a small bottle and two pieces of chocolate. Shipping costs may exceed the price of the package itself. You can send it as a commercial gift though, ordering a hundred boxes and giving one to each employee. You might even get a bulk discount, and you can personalise each box with the company logo. To sweeten the deal, the packages could be received by HR and individually embellished with a shopping voucher or a cheque for their Christmas bonus. It’s extra work packing them and labelling them with the right name and cheque, but it’s these kinds of personal touches that build staff loyalty. A little labelled champers is a small price to pay for employee retention if you want them back after the festivities. How Old Should Your Kids be Before You Get a Pool?